In other words, a complete failure. 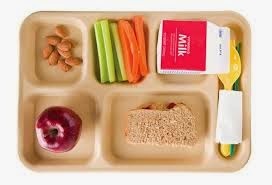 As school children continue to protest Michelle Obama’s push for healthier lunches by dumping their full trays into garbage bins, the nation’s school boards are joining in to demand that the Obama administration let them off the hook of serving the costly and tasteless meals. How bad are the rules heralded by the first lady, who recently ripped Republicans for calling for the very program exceptions from the 2010 law sought by school administrators? — 83.7 percent of school districts saw an increase in plate waste. — 81.8 percent had an increase in cost. — 76.5 percent saw a decrease in participation by students. Although, personally, I don't see a decrease in participation as a negative. It's neutral. It's only a negative if people think that someone other than parents should be responsible for feeding children. Waste is always a negative. The lack of participation just shows how the changes are a failure.